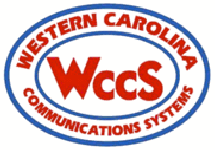 Headquartered in Dillsboro, NC, Western Carolina Communications Systems is a locally owned and operated business. Western Carolina Communications Systems is an Kenwood Authorized Dealer & Service Center. We have a solution for your public safety equipment needs offering top-tier equipment as well as lower-tier equipment keeping budget strapped agencies in mind. We are proud to be Kenwood, Zetron, EFJohnson, Apollo, Unication, & Swissphone reseller’s in the communication industry as well. The owner-operators, Roger Frizzell and Jeremy Ray, goal is to provide fast, high quality communications service at fair and competitive prices. Western Carolina Communications Systems customers include many public safety agencies and private businesses throughout Western North Carolina and Northern Georgia. The company maintains a staff of technicians that are familiar with the latest technologies and troubleshooting techniques.